A luxury, pearl bridal headpiece with a beautiful cluster design set with marquise cut Swarovski crystals in a floral design and interspersed with ivory freshwater pearls. 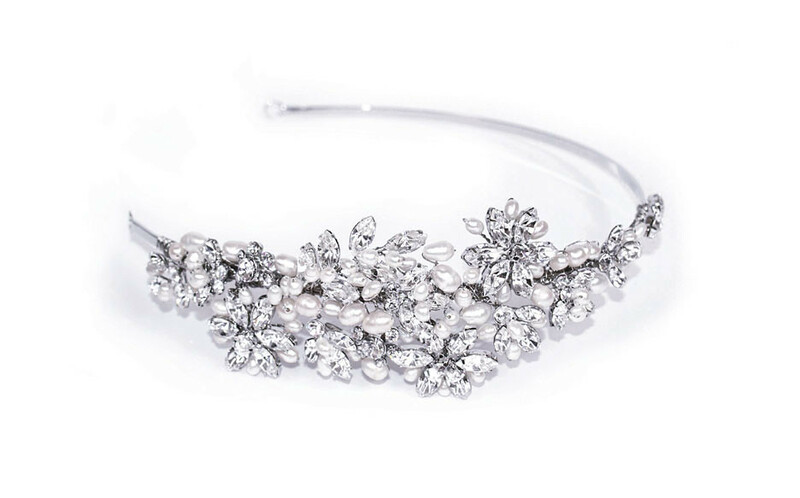 Classic and contemporary, this gorgeous headband will compliment your bridal outfit perfectly. The Dior bridal headpiece is presented in a beautiful gift box for that perfect present to the bride,doubling as a beautiful storage unit after the big day! This product was added to our catalog on June 21 Friday, 2013.